When the "Fearless Girl" statue arrived in front of the Wall Street bull in May, she drew crowds and cheers for representing female empowerment. So it's no small irony that the company that sponsored the statue, State Street Corporation, just agreed to pay $5 million to settle allegations that it underpaid female and black employees. A Department of Labor investigation from 2012 found that the company paid 305 women who held the positions of senior vice president, managing director or vice president less than their male counterparts. The probe concluded that the women earned lower base salaries, bonuses and total compensation than men. It also concluded that 15 black VPs were paid less than white employees in the same position. State Street will pay affected parties about $4.5 million in back pay and roughly $500,000 in interest. The firm denied any wrongdoing. "State Street is committed to equal pay practices and evaluates on an ongoing basis our internal processes to be sure our compensation, hiring and promotions programs are nondiscriminatory," the company said in a statement. "While we disagreed with the [Office of Federal Contract Compliance Programs]'s analysis and findings, we have cooperated fully with them, and made a decision to bring this six year-old matter to resolution and move forward." 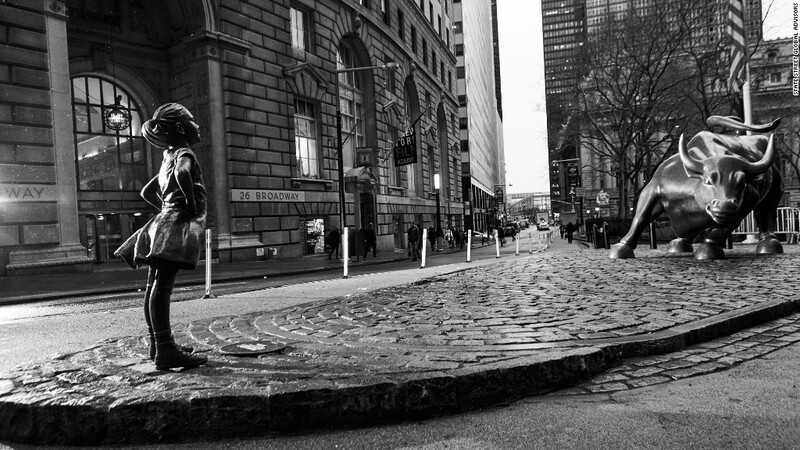 State Street Global Advisors, the corporation's investment management division, installed "Fearless Girl" across from the "Charging Bull" statue in March to call attention to its efforts to increase the number of women on its clients' corporate boards. The bronze statue was an instant hit. People came in droves to see the it and take photographs alongside her. Senator Elizabeth Warren even made a trip. The statue was originally slated to remain in place for about a week, but thousands have signed a petition to make it a permanent fixture of the financial district. The city has granted permission for the statue to stay in place through at least February 2018. "Fearless Girl" also has some critics. Detractors pointed out that State Street only has three women on its board. Some say the statue is little more than a successful ad for the powerful financial institution. The artist behind the "Charging Bull," Arturo Di Modica, agrees. He told told MarketWatch and the New York Post in March that his statue's adversary is "an advertising trick." In May, New York City artist Alex Gardega installed a "peeing pug" at the feet of "Fearless Girl" to draw attention to the fact that she has a corporate backer. "I don't like when things of have a false front," he said at the time.